The other day a colleague, who works at a hospital, mentioned how impatient senior nurses were with recently hired nurses, who are just learning how to do things. It appears that the senior nurses don’t understand why it takes the newer nurses so long to learn things. Especially when the senior nurses just explained everything to them. A new employee must learn new skills and new information quickly. What is very obvious to the manager is not at all obvious to the new employee. The manager doesn’t understand why that is. The manager concludes the employee must not be very smart, or motivated, or… something. Maybe the employee isn’t the brightest bulb. Or maybe the manager forgot that unrealistic expectations don’t have much impact on the learning curve. We all want learning to be quick and easy. But most things that are easy to learn are easy to forget. Think about cramming for a test. Or they don’t prepare you for the unexpected. It’s easy to get stuck if you know only one way to do something. No-one goes from beginner to expert overnight. People like those senior nurses can easily learn new information and skills – if it’s about nursing. That’s because they are experts in that field. The new information/skill is just one more piece in a web of knowledge and skill they’ve built over the years. New nurses, new managers, new MBAs, new employees in general must build that web. The way they do it is through experience, feedback, and trial and error. As they master one thing, they get to do something that is a bit more difficult. And when they master that, it happens again – if developing expertise is the goal. Admittedly this can be tedious, sometimes frustrating, and usually slower than anyone wants. But that’s how it happens. Research proves it. But you don’t need research. If you’ve developed expertise in some area, you’ve done your own research. If you want people to learn a complex set of interdependent concepts and skills as quickly as possible use a combination of developmental assignments and regular debriefing of those assignments. The military does this with After Action Reviews. A version of this also is common practice in organizations that need to drive innovation – which depends on learning: you try something; you discover what works and what doesn’t; you apply what you just learned to the same project or a new one. There’s nothing wrong with aggressive development goals. But the goals must be achievable and there must be sufficient support. You can find out if the goals are achievable by checking to see how quickly others achieved the same goals in the past. It’s the employee’s responsibility to learn what needs to be learned. But it’s the manager’s job to make sure necessary resources and support are provided. Impatience is not an effective development technique. 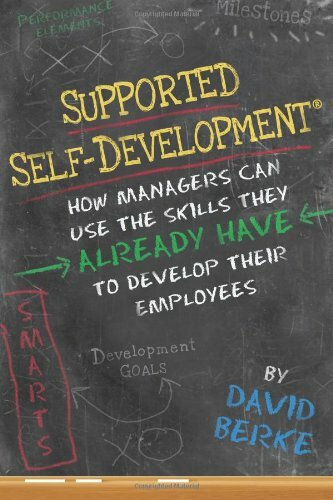 Having aggressive development goals is fine as long as they are achievable and employees have the support they need to achieve the goal. Development assignments and regular debriefing of those assignments are a very effective development method. While we all want learning to be quick and easy, developing expertise takes time and often is frustrating. Pretending that’s not the case and having unrealistic expectations is not helpful.